It's wonderful any time of year but is a great side dish for Thanksgiving or any holiday meal. During the holidays it's tough to get your family to leave room on their plates for whole grains and veggies. This hearty salad will get even the pickiest eater in your family to leave room for some much needed nutrition! 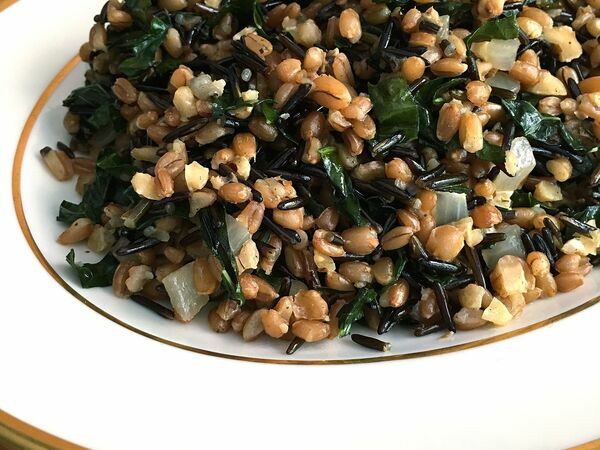 Reading through this recipe you'll see we call for cooked spelt berries and cooked wild rice. The best (and easiest!) way to cook your grains is in a rice cooker. Even the most basic rice cooker will get the job done for almost all whole grains. For the spelt berries, you will want to put one part spelt berries to two parts water in your rice cooker. Most varieties of rice are done with a 1:1 ratio but the heartier grains (like spelt) usually need a 1:2 ratio of grain to liquid. If you don't have a rice cooker or pressure cooker, just make your grains on the stove top. The best part of pulling this side together with cooked grains is you can make them a day or two ahead - and every little step you can do ahead of time helps for those holiday dinners! Chop and toast walnuts then set aside. In a deep sided saute pan with a lid heat olive oil over medium heat and saute the onion, garlic, and rosemary for about 2 to 3 minutes or until fragrant. Stir in the chopped kale and pour in about half of the broth. Reduce heat to medium-low and cover for 3 to 4 minutes to steam the kale. If you notice you need more liquid, add from your remaining broth. 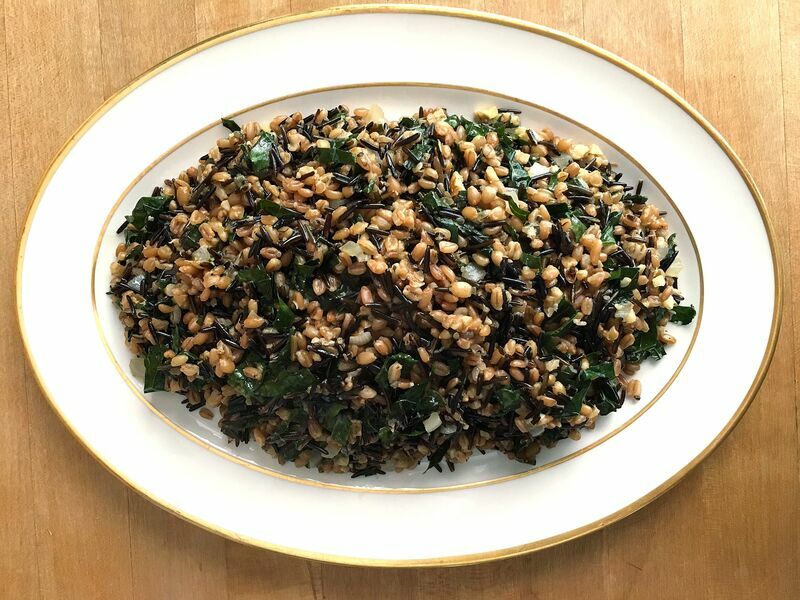 When kale is cooked, stir in the cooked spelt berries and wild rice. 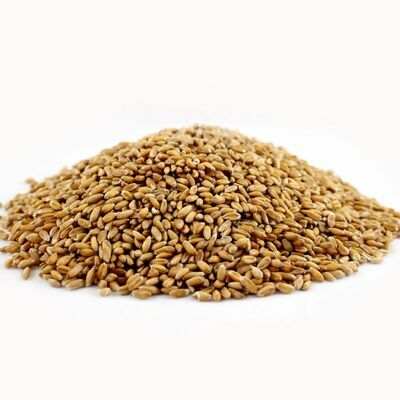 Don't worry about any excess liquid, the grains will soak it up. Season with salt & pepper to your taste and cook until the grains are warmed through. Finish by stirring in the toasted walnuts and spoon into a serving dish. Can be served warm or at room temperature. *any type of broth you have on hand (or even a little H2O) can be used in place of the vegetable broth the recipe calls for.